From faculty mentors who are recognized experts in their fields to state-of-the-art statistical software, the Department of Sociology is committed to empowering our students and providing an interactive lens through which we view and study social change. View the latest Sociology Department Newsletter! 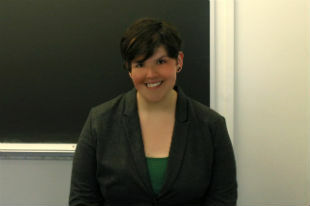 Trisha Crawshaw was chosen to receive two awards for Fall 2019, for her dissertation work on Carbondale Girls Rock camp. She was honored at the Celebrate Women event on March 21. Noha Tarek Hassan was chosen as co-recipient of the 2019 WGSS Conference Graduate Creative Presentation for her original work, "My Cosmic Story: The Dark Energy." Explore socially relevant topics and network with students and community. All are invited to attend Sociology Club meetings for presentations, movie screenings, panels, discussions, and more! Baylee Hudgens has been awarded the 2018-19 Louis and Monica Petroff Memorial Scholarship. She is a senior in sociology and has a 4.0 GPA. Four undergraduate students majoring in Sociology have been awarded the Dr. Willie Pearson, Jr., Academic Excellence in Sociology scholarship for 2018-19: Elena Cruz, Tatiana Green, Randall Grider, and Megan Hurd.